The Microsoft Surface press event may still be 10 days away but the rumors are coming fast and furious. 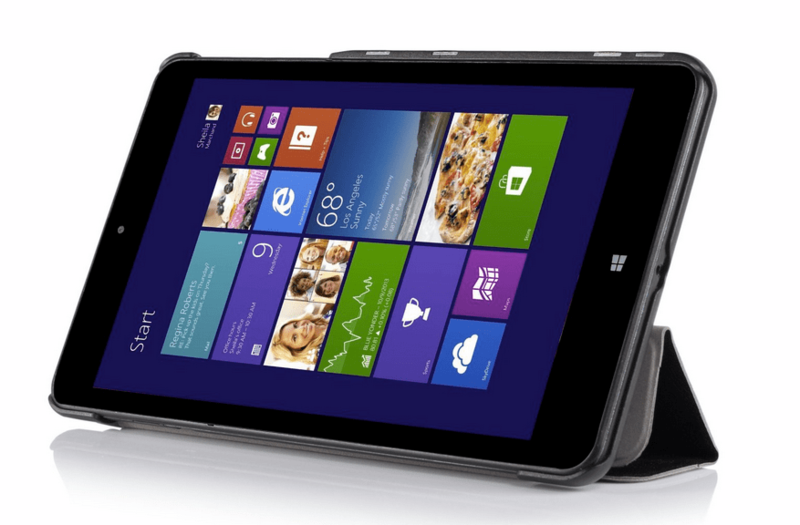 A new report from Cnet confirms the Surface Mini as well as a new Intel-powered Surface. A few days ago I reported on a rumor about an 8" Surface Mini running Windows RT on a Qualcomm CPU. That smaller device is confirmed, and and so is the Intel-powered Surface rumor. "There's definitely a new Intel-based Surface," a chip industry source told Cnet, who added that the media attending the event may "go back" with the Intel-based product. "From what I can assess so far I think it's going to [have] a new power-optimized Haswell variant," the source said, not an Atom processor like Intel's Bay Trail. And that new Intel-based model is not expected to be a smaller version of the Surface like the Qualcomm-based product, another source added. This person also believes it will be a Haswell-based product. This is probably a sign that we will be seeing the launch of Surface Pro 3 running Windows 8.1. The existing models have a 10.6" screen and sport a Core i5 CPU. Starting with a retail of $900, they're pricy buggers. Microsoft has long positioned the Surface Pro tablets as a line of premium desktop-replacement tablets, and that's why they gave it a CPU usually found in laptops and desktops. But does anyone actually need that much power in a tablet? Looking at the disappointing sales Microsoft has been posting every quarter (most of which are the cheaper Surface models), I would say few consumers are interested in spending so much on a tablet. Not really if it is only for entertainment purposes, like the Apple iPads are – that is exactly why the Surface RT-Models are not being sold. My problem with the Surface Pro being a laptop in tablet form is that you can’t get the most out of its power without adding a real keyboard (that cover doesn’t count). My other problem with the Surface is that in its tablet from the Surface Pro is ridiculously overpowered while in its laptop form it is a kludgy bundle of components paired with a netbook sized screen. Why should consumers pay laptop prices for a netbook sized screen? Heck, I got a good laptop for less – and that included a 3 year accidental warranty. And just to be clear, I say that the Surface 2 Pro is overpowered because it is actually more powerful than my current Lenovo laptop – and I don’t even make full use of its capabilities. Wow thank you for your fast reply. And I will apologize for my rough language on my first comment. 1. As a student, there is no match for the simple fact that you can take notes using an extremely accurate pen with that device. Paired with OneNote and OneDrive that is going to boost every single aspect of my learning-experience. I will be able to design machine parts without the need of an extra big digitizer in my room. I will be able to directly take notes in class and even search through hand written notes using OneNote. And I will get rid of most paper – especially since one can “scan” documents using the camera! I know this is pretty specific – but so valuable as a student. 2. I don’t think that it is that much of a downside having a small device and why should screen-size be the that much of a huge factor? I won’t say that one can’t get most of its capabilities without external stuff. Its true however that you can’t get all of it. But why would you want to leverage so much power when not being at home?! Even with a laptop one would not do that. What I would simply suggest to do is getting the docking station (which actually isn’t even necessary because of the full USB 3.0 support). Together with a monitor I’d use that for when I was at home and wanted to do some harder work such as (basic) video editing, Photoshop or programming. The device can clearly handle everything in terms of processing speed and btw. this is exactly what I am already doing with my current 13″ laptop. The thing that adds here is that huge mobility factor without being that much less productive when you are on the way. 3. Gaming: I have seen people play Skyrim, GTA 4 and even Battlefield on that piece. I don’t know why everyone is complaining about the low amount of store-apps when you are completely independent of those having a Surface Pro… And imagine game developers developing games like Skyrim with Touch-Support…. That would be overkill…. 4. Together with the Power Cover I will have about 8-10 maybe 12 hours of battery life with active use during college which is far more than enough to pass a regular college-day. I can even pass that with my current laptop that gives me like 4-6 hours of battery life…. These are targeted at travelling business people like myself. I can’t think of a better portable device. Yes. I’ve also tried using a full sized tablet. That doesn’t work well either. You need a reality check. The SoC used is an ultrabook SoC. That means low clocks to get to low power, less cache and lower perf than a notebook. And ofc misleading naming schemes from Intel, the name should be “i3 minus”. You can get better perf with a 300-400$ laptop. That said , M$ is positioning the Surface Pro against the Macbook Air (same SoC) ,hence the price. And yes both are terrible devices without a 50% price cut. Ultrabook is just another word for laptop. It’s a marketing term that has as little practical meaning as the work notebook. And I just checked to be sure, but all signs point to the Surface Pro 2 actually being more powerful than my Lenovo laptop. So when everyone talks about the Surface Pro being a laptop replacement, I don’t think they’re wrong. I agree with Mr. Hoffelder here. I’ve checked Cinebench tests and compared results of my Ultrabook (Asus UX31A Zenbook Prime) with the Surface Pro 2 results and the Surface scored about 1500-2000 points better. Would you please tell me where you’ve got your information from? I think they will be announcing a very interesting new MS ebook reader at the same time. If I’m right, ask me how I knew. If I’m wrong, ignore my false rumor. That is a possibility. I don’t think there would be much of a market for it, but Microsoft might decide to release it anyway as a flagship product. More power means more battery drain. Unless they have some super efficient CPUs or bend the laws of physics? Ever more efficient CPUs, better batteries, better packaging and materials. The problem is that people are not “Pro” but using Pro and claim the surface pro is overpowered. To me it just ridiculous. I hate the fact that people (or media) are trying to label the thing that they cannot handle as unwanted trash. Not even realizing there are whole bunch of people really doing some serious job with these incredible devices. If you just want a mini cooper, how come you blame a F150 as overpowered? The Surface Pro draws a lot of fire *because* it doesn’t fit the existing market taxonomy. That’s a *good* thing, since it brings the best of the best of the light laptop, touchscreen tablet, and high-quality screen digitizer worlds together to produce a product that can do what nothing else can accomplish. I’ve tried iOS, Android, and Windows RT tablets and found them all wanting – they’re nice (but expensive) adjunct devices, but unless you only rely on a few very basic apps (for which a Chromebook may well deliver superior results, anyhow), you can’t use them for everything. Heck, just simply having a tablet that allows me to see *all* of the web (and after all the web is the most important app for everyone) with FULL video and Flash support is a HUGE win. Add transparent cloud integration (to *anyone’s* cloud services – I get to choose!) and a great multi-platform notetaking platform like OneNote (or Evernote, or TiddlyWiki, or whatever you like! ), along with the revolutionary pen digitizer (compare Surface Pro pricing to Wacom’s Companion tablets to see what a steal it really is), and you’ve got the only solution out there that does everything, and makes very few compromises doing it. Much more than anything else on the market, the Surface Pro gives ME to power to choose both the “apps” I want AND how I want to use them – *that’s* always a powerful idea! They are adjunct devices, yes, but I would dispute the expensive. I’ve found some decent $99 Android tablets. The low price makes their adjunct nature much more acceptable. Okay, but you can say the same thing about any Win8 tablet, including models in the $200 to $300 range. They don’t have quite the oomph of the Surface Pro but they are pretty powerful tablets. I love my surface pro, as a student and Business professional it fits both my needs perfectly. Seriously these devices don’t get the credit it deserves, they are amazing devices! I’ve tried out the S2pro for a week, after i bought it in a local MS store. I ran nothing more than internet explorer with maybe 10 open tabs, didn’t even try to install any apps on it. Every time it went to sleep, after I woke it up I would see it rebooted itself. Did I just get a bad unit? I paid like $1500 for the 8gb/256gb version hoping to use it primarily as an ultra portable long battery laptop, running some win 8.1 programs. Other posters seemed to have better luck with theirs, or has anyone experienced the same behavior? Really hoping they will improve things with v. 3. I thought the problem was with OS, but next week I returned the surface and tried out dell xps 11. didn’t crash a single time.